Robert M. Price, a theologian, atheist and critic of religious apologetics, teamed up with electrical engineer and doubting Christian Edwin Suominen (now an atheist) to take a critical look at the attempts to reconcile Christianity with the theory of evolution, and the result is the book Evolving out of Eden. “Imagine the irony of a scene that has probably played out all too many times in recent years: some creationist lecturer asking for directions to the church where he is planning to spew his nonsense, calling the pastor with a cell phone whose antenna was designed by an evolutionary algorithm.” (pg. 18). Though I was skeptical of Price’s analysis of these texts at first (Price often speculates quite a bit about the origins of biblical texts in way which is rejected or deemed unsupportable by other biblical scholars), it seems that other Biblical scholars who study ancient myths agree with him. The more you know! Price uses this text, and others within the bible (such as those that imply the Earth is flat) to demonstrate that the book of Genesis simply cannot be taken as a believable portrait of ancient history, wholly apart from considerations about the evolution/creation debate. So what? Dissolving the attempts to read Genesis as history leave Christians with only one option: to read it as a symbolic story. However, reading Genesis in a symbolic manner likewise has its difficulties: if Adam was not an historical person, we cannot make sense of St. Paul’s assertion that, “Through one man (Adam) came sin and death through sin,” (Romans 5:12). If Adam were a character intended to represent “everyman,” as some people have speculated, we would have to interpret Paul’s assertion as, ‘Through “everyman” came sin and death to all people.’ Nonsense. Worse yet, “Traditional theology has told us that the Fall put the taint of sin and corruption into man from Adam and Eve’s screw-up. An understanding of evolutionary human origins dispenses with such nonsense… [T]hose actions that have been labeled as “sin” do not arise from any subsequent corruption of our nature, but from our very nature itself as the descendants of reproductive survivors in a harsh and brutal world.” (pg. 190). Evolutionary psychology has uncovered that many human behaviors and emotions, including the violent and the sexual, are an outgrowth of our genetics which was created by the evolutionary process and which certainly existed in pre-human ancestors (look at the violent and morally contentious behavior of chimps, gorillas, and other animals!). Evil did not enter the nature of man, as Genesis would have it, but the nature of man has always contained evil. If there’s one gripe I have about the book, it is this: Price and Suominen are far too scornful of the Christians who attempted to reconcile evolution with Christianity. These Christians, are, I believe, completely wrong. However, they deserve to be criticized far more gently than their Christian peers who engage in out-of-context quotations and plain, flat-out lies about the science of biology to subvert evolutionary theory for their own religious persuasion agenda. Christians who seek to reconcile evolution with their faith are more deserving of pity than ridicule. This book is a welcome addition to the growing library on evolution and religion, and I think it belongs on the bookshelf of everyone interested in the subject. While I’m at it, let me say that I think Price and Suominen may have hit upon a far more persuasive way to reach the creationists than we evolutionists usually try: instead of showing creationists fossils or genetics, which usually creates all kinds of denial or rationalization, why not simply show them the deep mythology ingrained in the Genesis accounts? 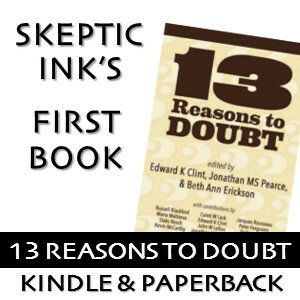 Once they’ve seen how unbelievable the myths of the bible really are, they might be a little more open to following the evidence wherever it leads, instead of explaining away all the evidence for evolution to preserve belief in a book, that, unbeknownst to them, is no more believable than the Greek or Aztec myths. Just a note. I am enamored with GAs. I only know of one case in the past few decades where a genetic/evolutionary algorithm was bested in a design competition by a human team of designers. That was because the GA was so complex that they only could afford 100 generations. The researchers predicted that after a 1,000 generations, it would have developed a better design than humans. GAs are working in everything from stock markets to factory scheduling. In the case of factory scheduling (John Deere), a single desktop computer with a G is doing in a few hours what normally took three engineers four days to do. One case (also in the talk.origins FAQ) mentions that a GA working with field programmable gate arrays created a device that works (natural language processing), but human engineers still haven’t figured out how it works (to my knowledge). Neat! I sure wish someone would design some type of very general genetic algorithm that I could run on my desktop PC, one that would be applicable to a wide variety of problems. Has anyone come up with something like that?